DP World has signed a new multi-million dollar lease for its operations at Port Botany until 2024, which provides for compulsory investments in port infrastructure as well as specifying minimum service standards. DP World is one of the biggest marine terminal operators in the world, with its Port Botany lease dating back to 1979 and in 2008-09 they handled almost 800,000 TEUs (containers). The lease includes incentives to improve truck servicing and rail performance, desperately needed to ease congestion at the port and reduce truck movements on Sydney roads. This is the first time a lessee at Port Botany has contractually undertaken to meet performance standards not only in relation to its ship loading functions, but also in relation to road and rail servicing operations. The new rental model for stevedore leases at Port Botany provides incentives for operators to improve their performance by way of lower rents. Sydney Ports CEO Grant Gilfillan said DP World’s new lease also includes a commitment to capital expenditure over its fifteen-year life. 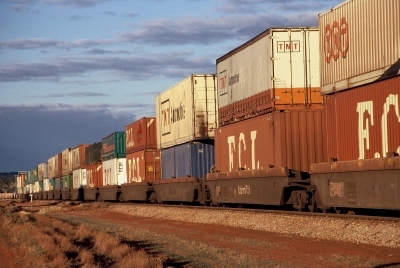 “These reforms will assist the NSW Government to achieve its policy objectives of increased competition and trade growth, greater investment in port facilities and a target of 40% rail mode share of containers to and from Port Botany,” Mr Gilfillan said. He said the new rental model underpins the significant reforms being implemented through the Port Botany Landside Improvement Strategy, which aims to introduce greater efficiency and productivity in the logistics chain. “The new rental model not only applies to DP World, but will also apply to the operator of the new T3 Terminal,” Mr Gilfillan said. The successful tenderer for the new terminal is expected to be announced before the end of the year.